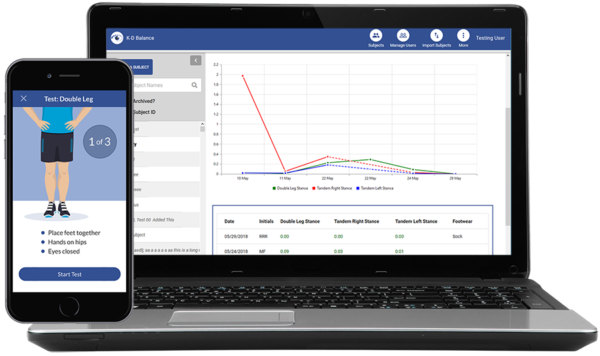 Introducing FDA Cleared K-D Balance - Available Now | King-Devick Technologies, Inc.
June 11, 2018 King-Devick technologies, inc.
King-Devick technologies, inc. revealed K-D Balance, the most recent addition to their suite of objective screening tools, is now available for purchase. 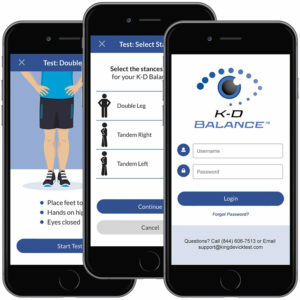 K-D Balance is an FDA 510(k) cleared mobile application for athletic trainers, physical therapists, physicians and other health care professionals to objectively assess vestibular dysfunction. To place an order or learn more, click here.